This year, Chief Minister Lal Thanhawla declared March 3 as State Bamboo Day in Mizoram and instituted several awards for excellence in bamboo production-for best bamboo village, bamboo entrepreneur and artisans. It was not a symbolic gesture, as Mizoram plans to promote bamboo as its single largest source of investment. In the last four years, three bamboo product manufacturing units have come up here, with a cumulative investment of Rs.6.3 crore. In two of them-Mizoram Venus Bamboo and Zonum Matply-the government has 50 per cent stake, while a Rs.10-lakh soft loan was given to a third, Newtech Bamboo Products. It is also attracting private investors. 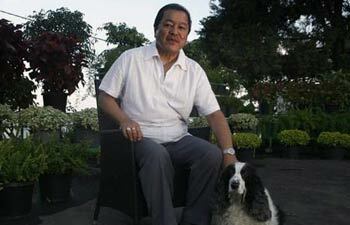 In 2006, Bangalore-based entrepreneur Rajesh Prasad, an alumnus of Delhi School of Economics and IIM, Ahmedabad, started a flower farm, Zopar, at Chanmari, on the outskirts of Aizawl. Spread over five hectares, it sells around 300,000 flowers a month during peak season and 30,000 during off-season. From November, Zopar will grow 75,000 strawberry plants on 15 bigha land. "The state government offers us all possible support. In return, we run the state floriculture department's own flower farm at Champai," says Chandan Narzary, technical supervisor at Zopar, which employs 110 Mizo boys and girls at Rs.170 daily. The last three years have seen investment in other sectors of Mizoram as well. Mizoram Ispat Industries is planning a new steel project at Aizawl for Rs.60 crore. Marathon Batteries have started a Rs.30-crore plant, while Rs.4 crore was invested to set up Eternity Partners, an it-based research centre. However, the big-ticket investment in the state is happening in the power sector. 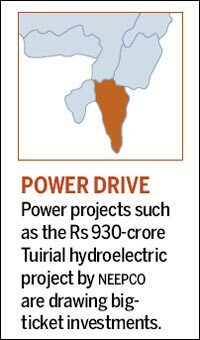 The Rs.930-crore Tuirial hydel project has been given to the North Eastern Electric Power Corporation (NEEPCO) while seven companies have bid for the 210 MW Tuivai hydro power project.